Unfortunately, since I went in with a beefy group, I don’t have any sort of survival tips. The only real danger I encountered was the dragon’s Meteor attack which is a board-wide skill meaning that your characters will get hit no matter where they are. He also has single column and row-spanning fire attacks so keep a healer or someone that can use regeneration handy if you have one. While the Mech Orblings don’t damage your characters in any way, it’s insanely annoying when they manage to put EVERYONE to sleep … which happened to me. 😛 I think that caused me to skip about 3 or 4 turns before someone woke up. 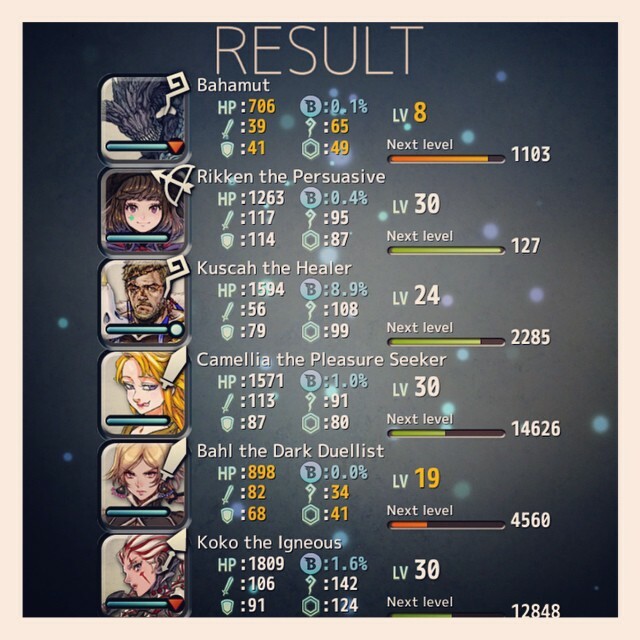 After that crappy experience (which only managed to bring Bahamut’s level up by 1 :P), I went to Metal Zone 1 for a bit. The result was MUCH better. Then I had the bright idea to try Metal Zone 2. My party was a bit different since I want to use characters that could stand for some levelling. Again, another bad mistake. 😛 I was able to get over 100K of EXP easily in Zone 1 but it was not the case in Zone 2! With the exception of 2 characters, no one else was able to kill enemies in one round. Of course, enemies had a turn counter of 1 so they fled afterwards. 9__9 I don’t believe I got anywhere near 100K in each of the runs I did. 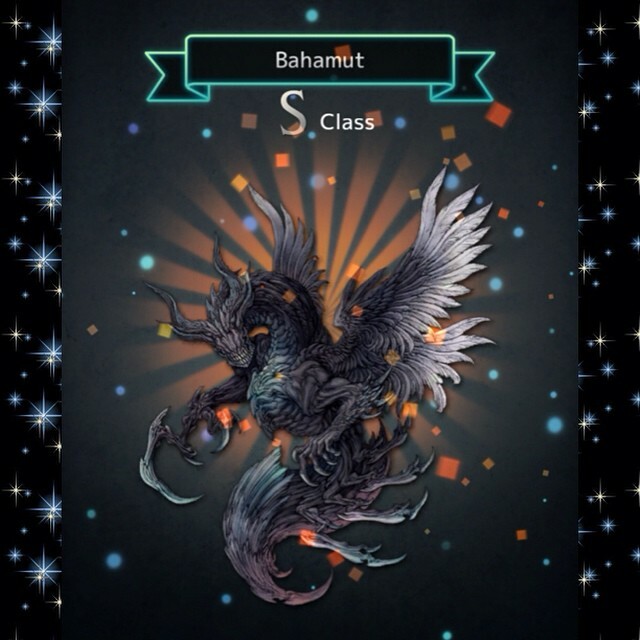 Now, about Bahamut himself — he is a bit of a pain to level and his skill boost is piddly even if you manage to get a duplicate of him from replaying the dungeon. 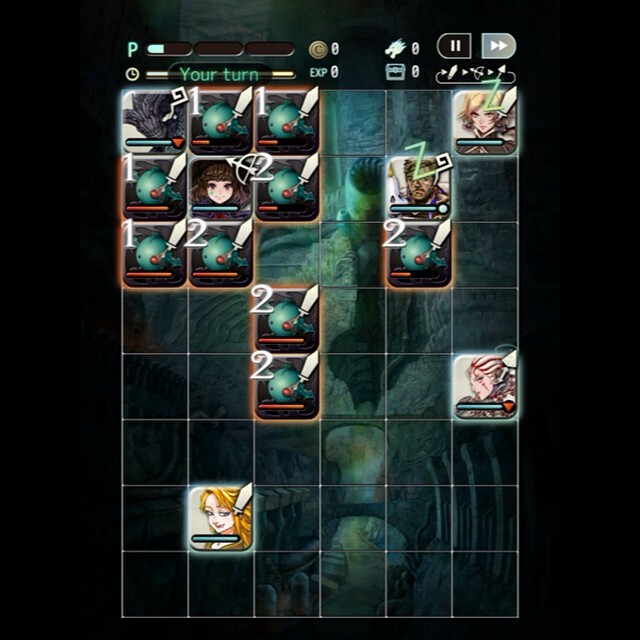 This is why I’m doing Metal Zone runs as opposed to farming the hell out of story chapters even though I sure could use coins right now. 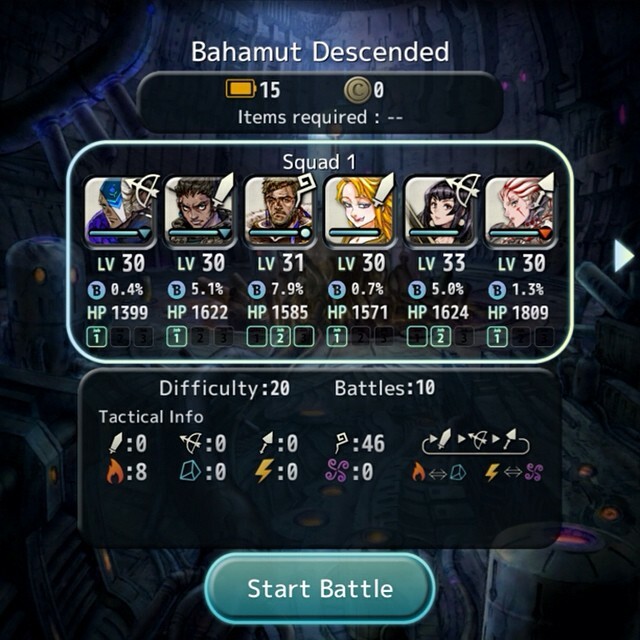 People are hoping that the possible higher difficulty dungeons will grant a greater boost. Since I’m a bit of a casual player, I’m not the type to analyze the usefulness and worth of a character by comparing them to other ones. 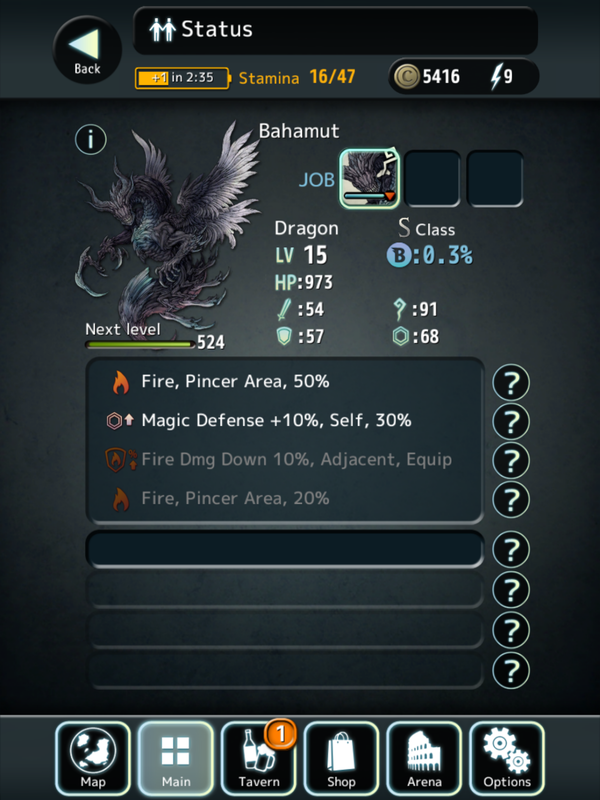 Due to this, I have no idea how well my party will benefit with Bahamut being a part of the team; I just go with the flow~! XD One thing to note about why I’m putting some time into building this fellow is that he’s my sole offensive “named” mage I have at the moment. 😡 I’m sure he’ll be of some use in ice heavy dungeons and Pudding Time, and I’m already seeing his 3 x 3 area attack as being a good thing to have.